Get the new GO Locker 5.09 APK for free. The developer has fixed stuck issues from the previous version. Did you ever get that issue? Many things can be done to make your Android device more unique and personal. 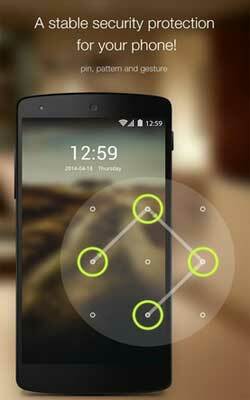 One way is to use an application that serves locker lock screen replace your screen. With a locker, in addition to changing the look, the procedure to unlock can be changed from the default form of a slide to unlock. Portuguese & Spanish have been fully supported on GO Locker. The best lock replacement application out there. The most variety. The most fun. The most dynamic.